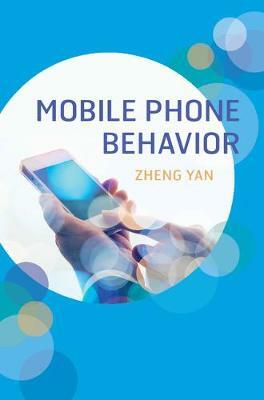 This book provides the first comprehensive introduction to the newly-emerging science of mobile phone behavior. It presents the unexpected complexity of human mobile phone behavior through four basic aspects of mobile phone usage (users, technologies, activities, and effects), and then explores four major domains of such behavior (medicine, business, education, and everyday life). Chapters open with thoughts on mobile phone usage and behavior from interviews with cell phone users, then present a series of scientific studies, synthesized knowledge, and real-life cases, concluding with complex but highly readable analyses of each aspect of mobile phone behavior. Readers should achieve two intellectual goals: gaining a usable knowledge of the complexity of mobile phone behaviour, and developing the skills to analyze the complexity of mobile phone usage - and further technological behaviors.